O Jesus! You have proved that you have no greater desire than to be among men, even assuming human nature at the fullness of time for the love of men. I recall all the sufferings of your life — especially your passion. #18 What piece of art am I thankful for? In Mark's account of this incident, in fact, the questioner expresses admiration of Christ for his wisdom. (Mark 12:28-34) The point is, the narrative shifts from historical to didactic, which is a fancy way of saying that Jesus's answer is meant primarily for our ears, not the questioner's. The Bible is a huge, complex, difficult, and often apparently self-contradictory book. Christ gives us these two simple commandments so that we might never get lost in a sea of ideas. Doctrine and theology are not the road to salvation. Love of God and love of one's neighbor are our two fixed points, our compass, our GPS. Complex doctrine and abstruse theology are the in-flight entertainment; or at best, perhaps, instructions on how to raise and lower one's tray table. We have been studying some very particular information on the religion and politics of Israel at the time of Christ, and especially how they interacted with him and his message. It is good to know these things. It helps us feel more comfortable reading the Gospel. 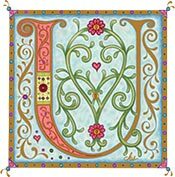 It gives us a richer and fuller understanding of what is written. Perhaps it makes it more likely that we will read the Bible and that it will make sense to us. But it is more important that we remember where we are headed. “You shall love the Lord your God with all your heart and with all your soul and with all your mind.” When we feel troubled or confused, all we have to do is repeat that until our orientation is corrected. Every Christian would do well to burn these two simple sentences so deeply into his or her heart that they become automatic. They are a test for our every action. They are the first standard for every thought we think and every belief we hold. The second commandment does raise one question: Who is our neighbor? Unfortunately, Christ's direct answer is not recorded in Matthew, but only in Luke 10. But to say it simply: There is nobody God does not want us to love. 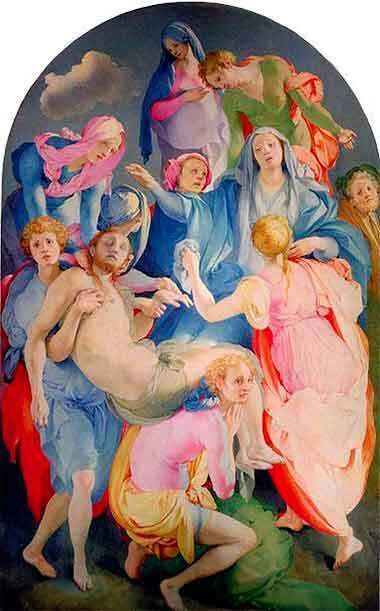 Deposition from the Cross by Jacapo Pontormo ca. 1528. This unusual portrayal of Christ is marked by bright pastel colors, the absence of the cross, and unrealistically swirling figures (a technique that defines the “mannerist” school) forming a vortex around Christ's body. The intention is not for it to be “pretty”, but to provoke thought.